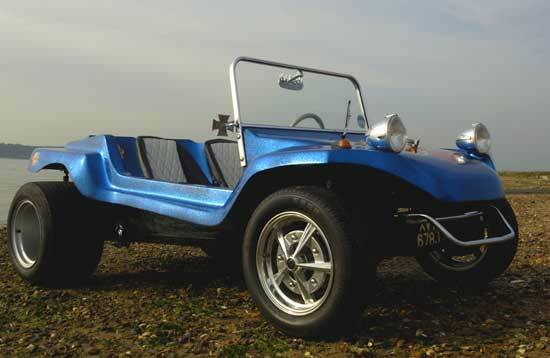 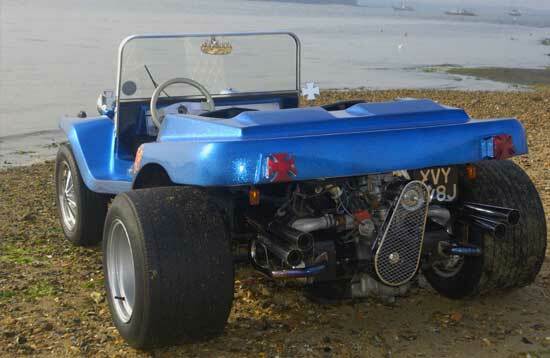 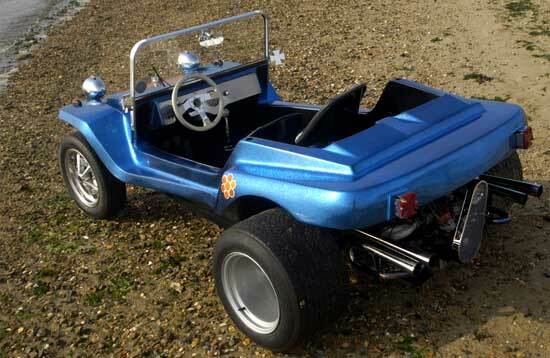 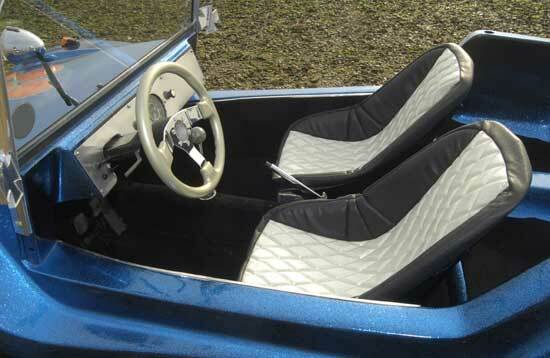 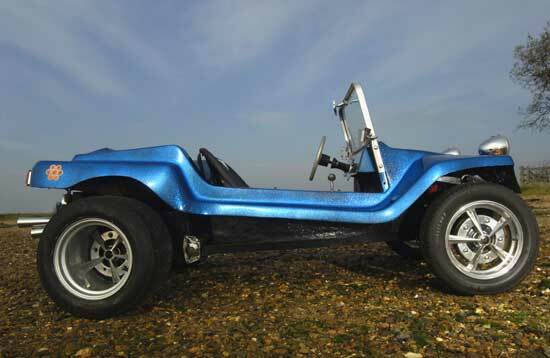 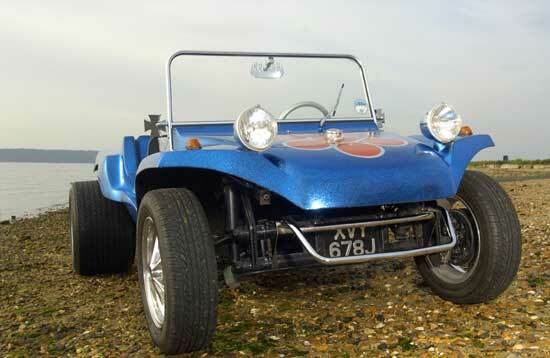 Brought as an unfinished project Saunders decided to create a period perfect mid 60s beach buggy. 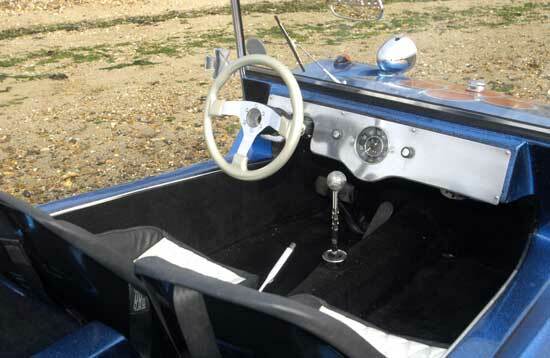 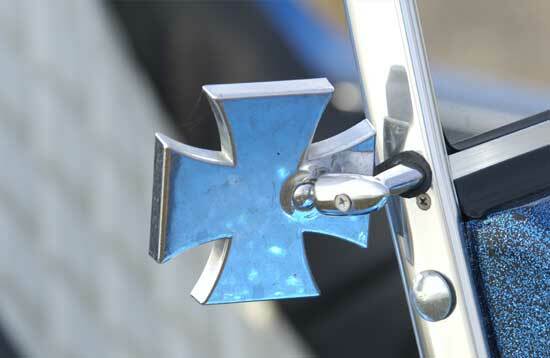 The car was RHD but Andy made it left hand drive for a more authentic look. 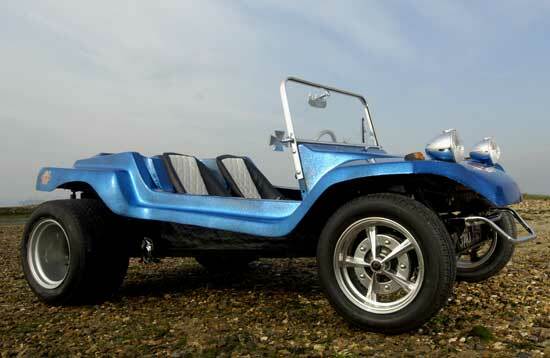 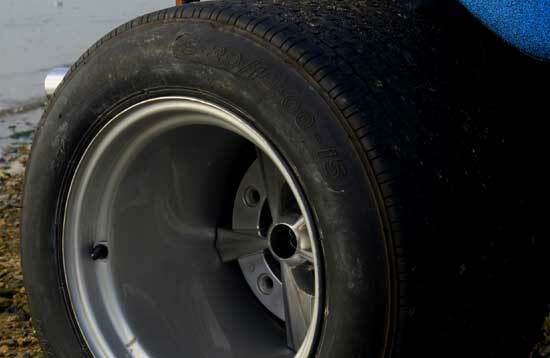 All accessories are period where-ever possible including those gigantic 15×15 Manx Racing steel wheels which finish it off a treat. 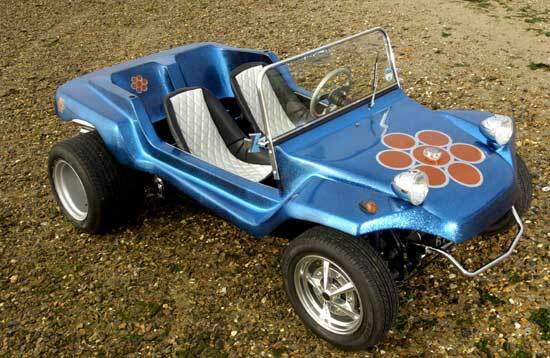 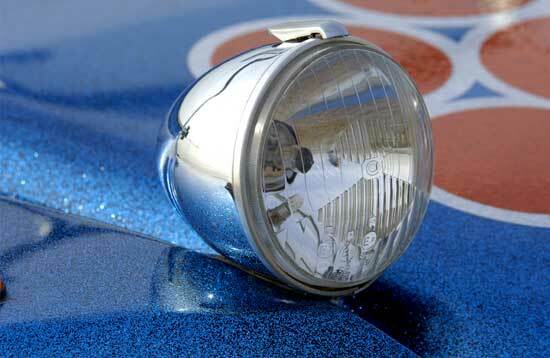 The paint job being a copy of the 1970’s Corgi Beach Buggy toy car.